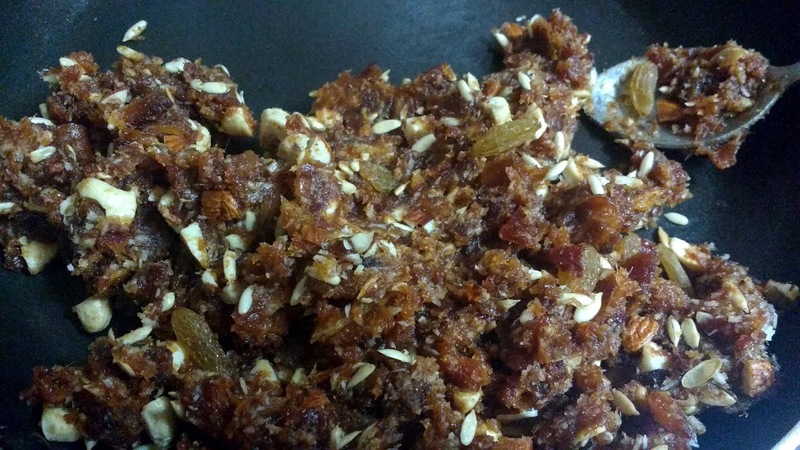 Dates & Nuts Ladoo / Date & Nuts Bites are delicious and healthy dessert or snack made by combining ground dates and dry fruits roasted in ghee. Dates are called "Khajoor" in hindi. 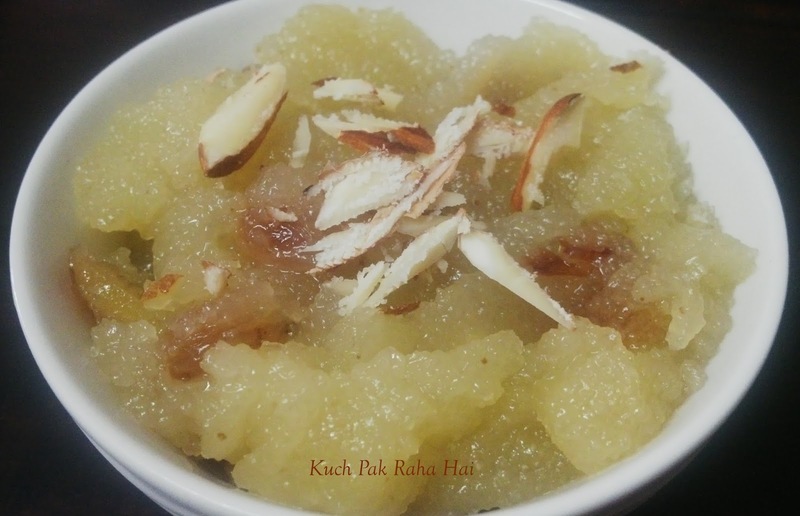 The other names of this recipe are Khajoor ke Ladoo, Dry Fruits Ladoo or Sugar free ladoo. 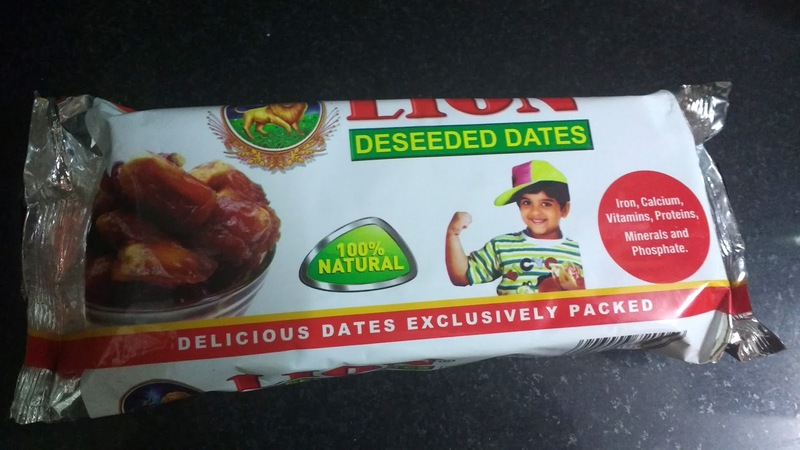 Today I am going to share Dates & Nuts Ladoo recipe in this post. 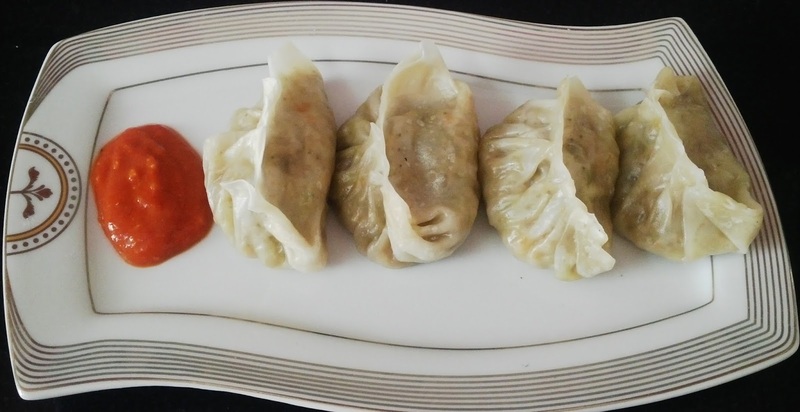 The recipe is not only easy to make but really quick too. These ladoos can be made in flat 15 minutes of time. 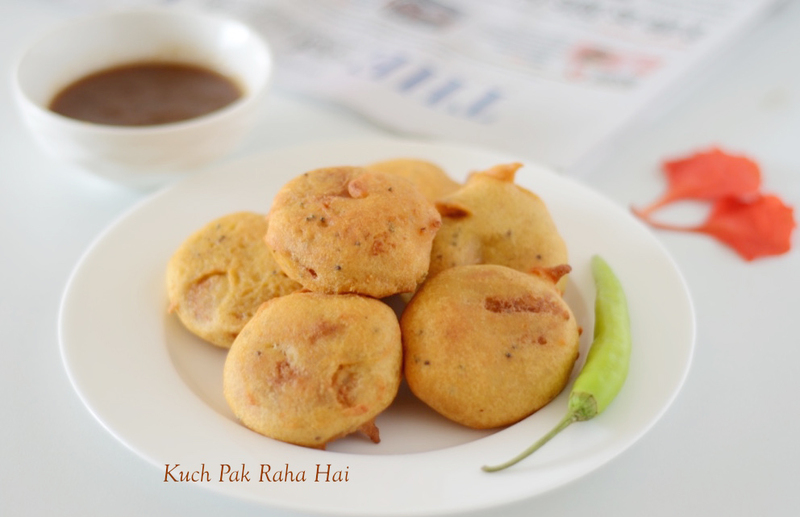 The best part about these khajoor ke ladoos is that they are sugar free. No refined or artificial sugar is added to them. 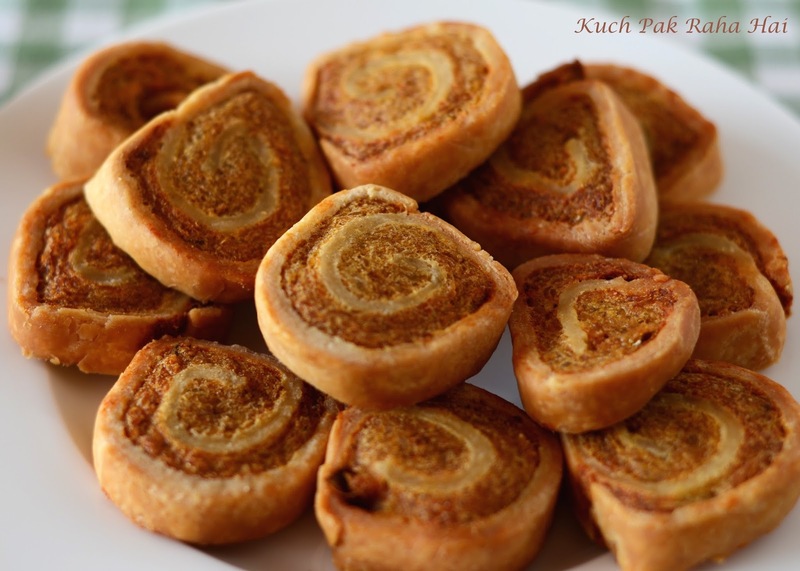 The ladoos get all the sweetness from the natural sugars present in khajoor or dates. You don't at all miss the white sugar while having them. 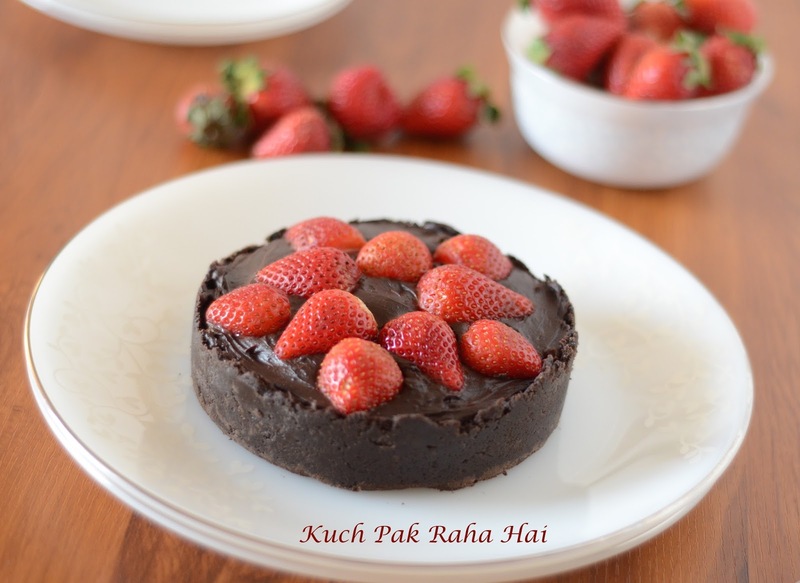 It is a quite a healthy option if you have sugar cravings quite frequently and trying to loose weight by cutting refined sugar from your diet. 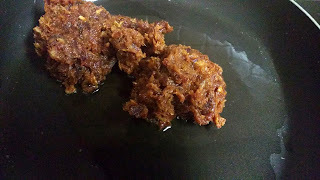 As it is a gluten-free ladoo recipe, it is also suitable for people who are allergic to gluten or avoiding gluten in their diet. 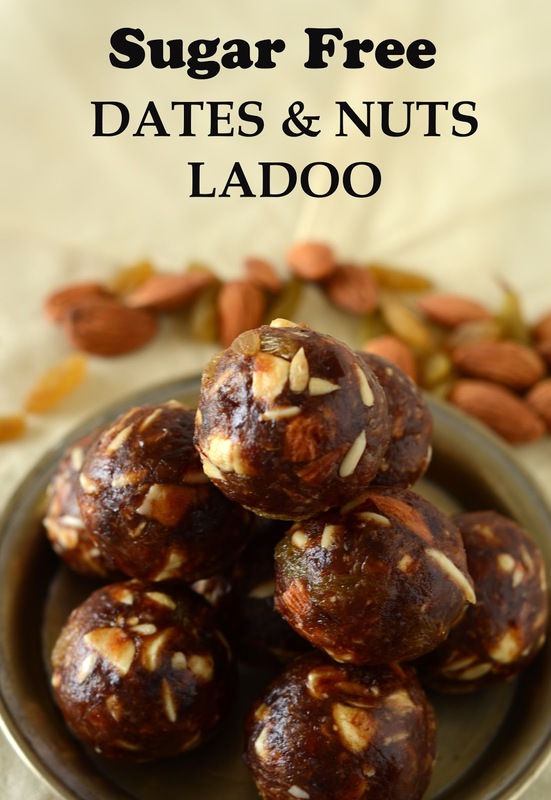 Every bite of these Dates ladoos is filled with health and nutrition. Dates are rich source of proteins, vitamins, iron and essential minerals likes sodium, potassium etc. They are instant energy providers because of their natural sugars and also beneficial for people suffering from constipation. When combined with almonds, cashews and raisins these benefits multiply many times. 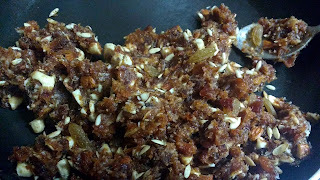 Generally people use only nuts and dates in this recipe but I have added the twist of melon seeds and flax seeds in this recipe from my side. 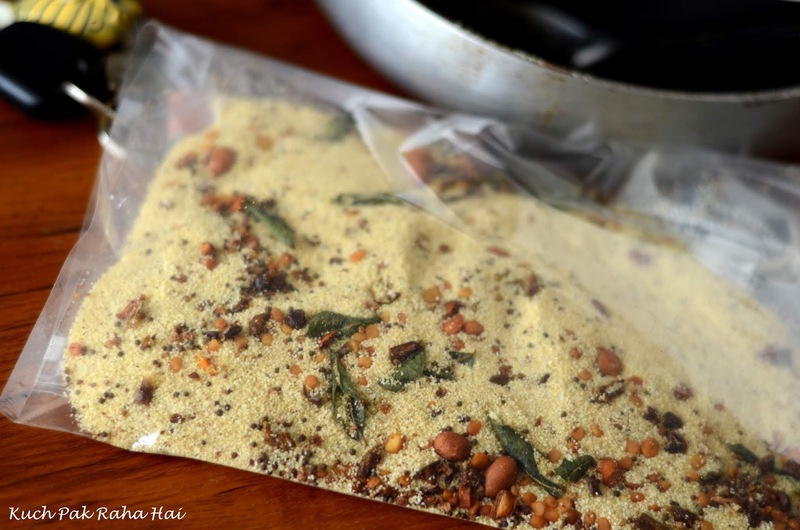 I was looking to incorporate flax seeds in my everyday diet as they are full of Omega-3 essential fatty acids, fibre, lignin's etc and this recipe seemed to be perfect for it. The flax seeds have a nice nutty taste and aroma which goes really well in these ladoos. 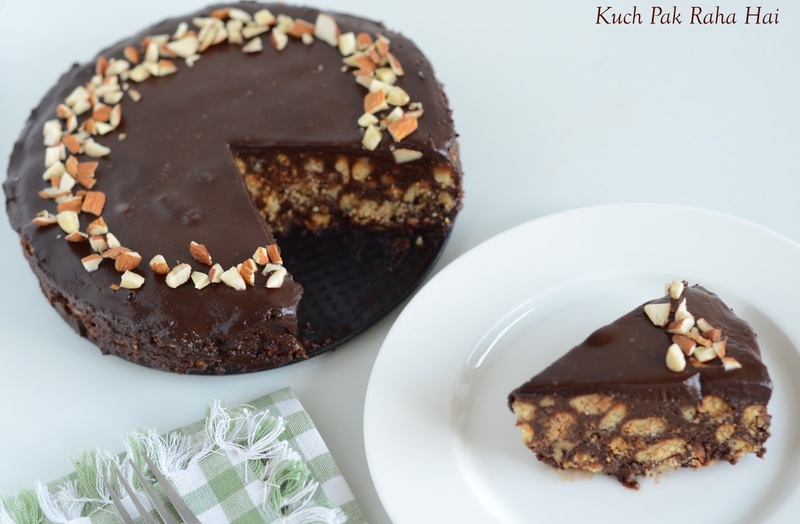 It is a kids friendly recipe as it is quite healthy and kids would love its sweet nutty taste. You can give 1 or 2 ladoos to them everyday as a snack or in tiffin. 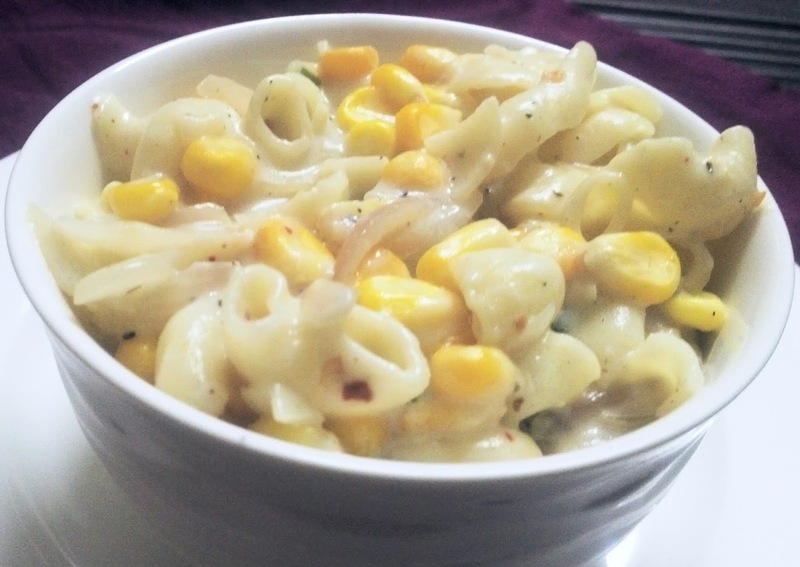 I have added almonds and cashews in this recipe. You can add other nuts like pistachios, walnuts or peanuts also. These Khajoor ladoos are also a wonderful option for gifting during festivals like Diwali, Lohri etc. 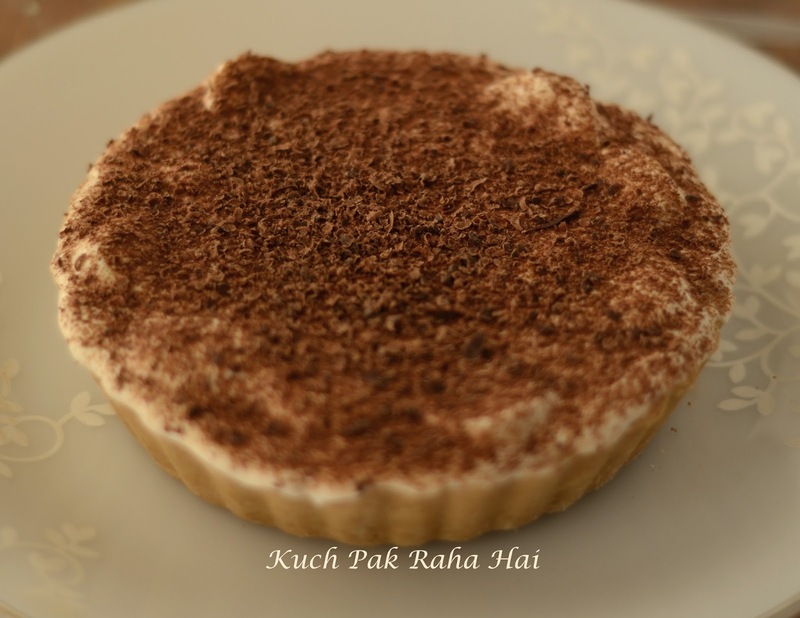 As these days Ramadan is going on, these can be made and consumed post fasting also. 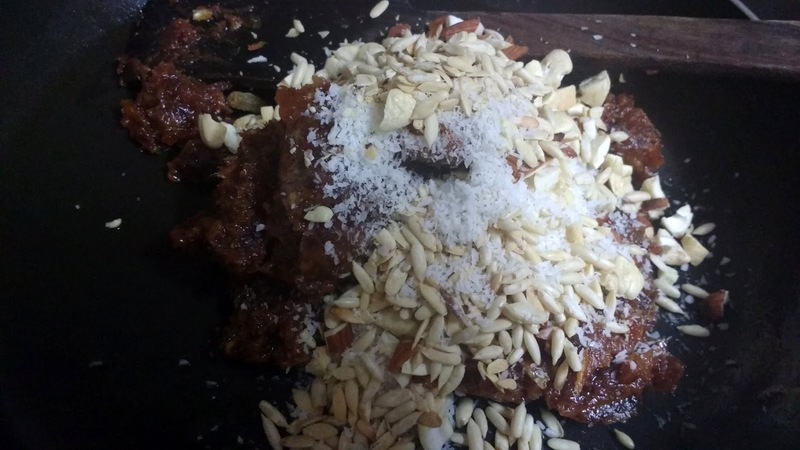 Hope you would like this Dates and Nuts ladoos recipe!! 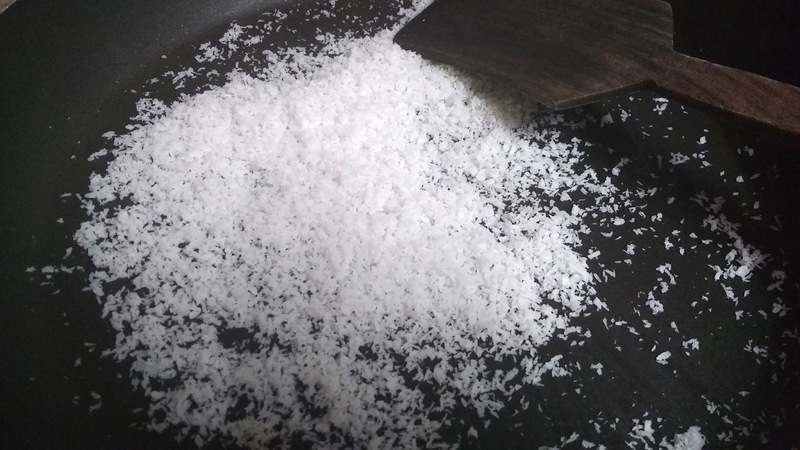 Dry roast the coconut powder in a non stick pan (buy here) for 2 minutes on low flame. Keep it aside. 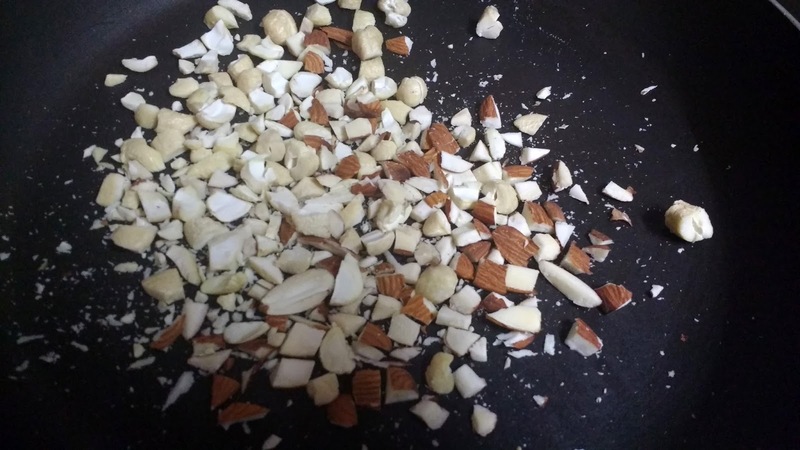 Chop almonds and cashews into small pieces. You can use pistachios, walnuts or even peanuts also. 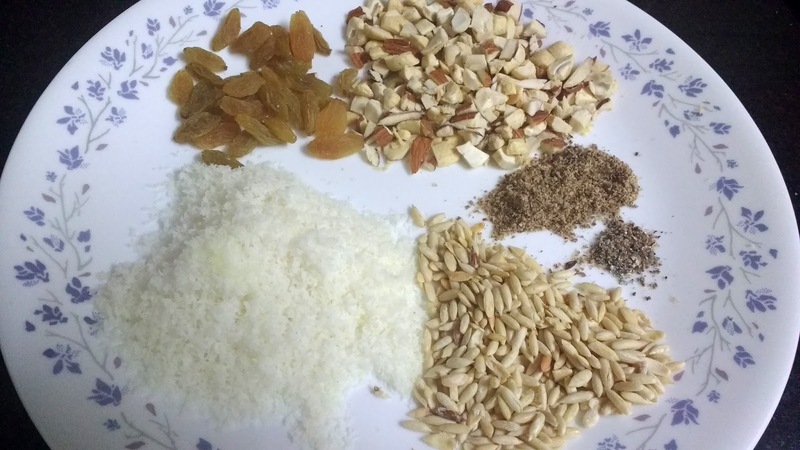 Dry roast the chopped dry fruits on low flame for 2 minutes. Keep them aside. 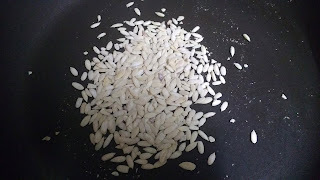 Dry roast melon seeds also on non stick pan on low flame till they swell and start to crackle. Keep them aside. De seed the dates or khajoor. Chop them finely. 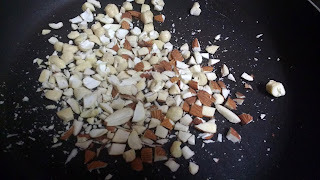 Grind them coarsely in a food processor or chutney jar. 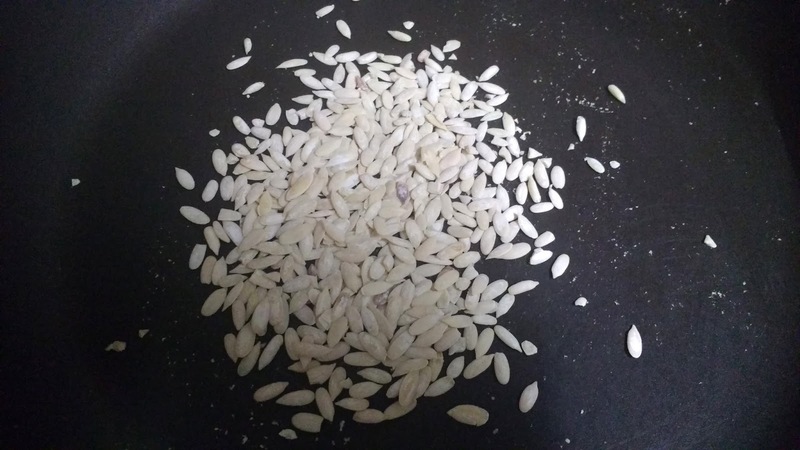 You may add 1-2 tbsp of water to them if you are finding difficulty in grinding them but not more as it will reduce its shelf life. 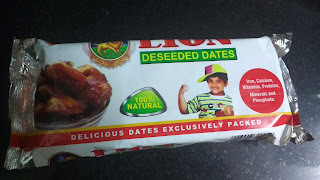 I have used Lion brand de-seeded dates here. 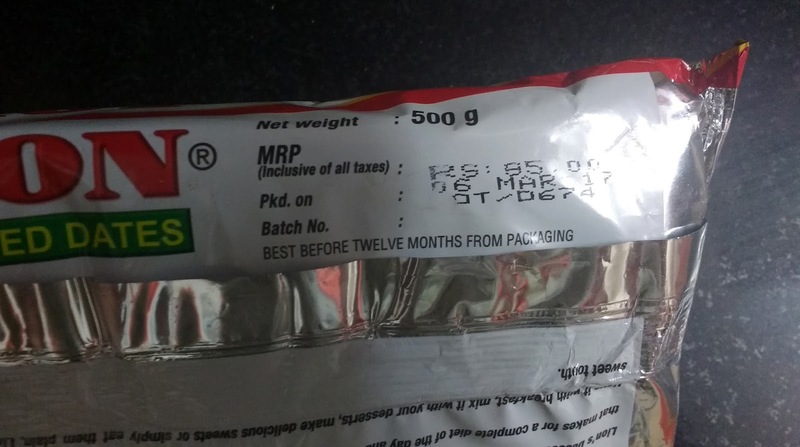 This is the 500 grams pack which I got from market for Rs 85/=. I have used half of this pack in this recipe. It saved the de-seeding time. Quality wise and taste wise also they are fine. You can check out this product here. 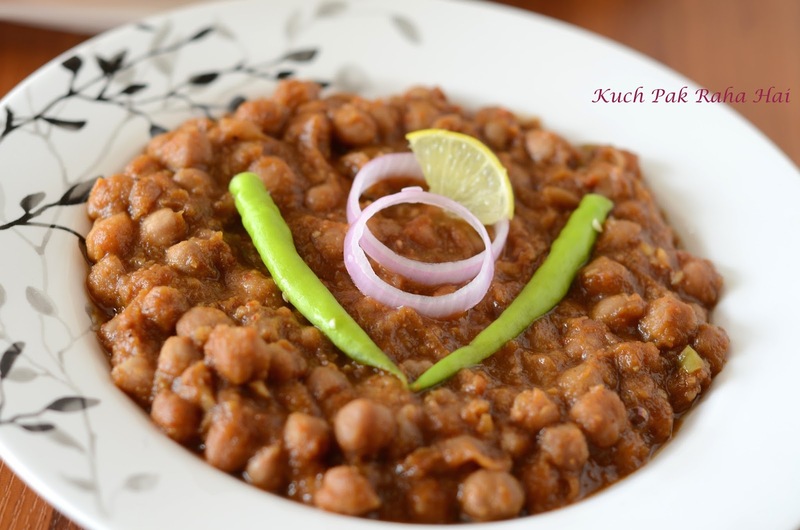 Heat 1 & 1/2 tbsp ghee in a non stick pan. Add the ground dates to it. 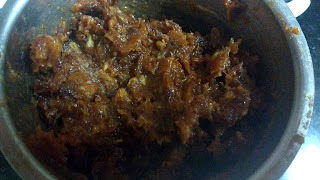 Roast it in ghee at low flame for two minutes. Add roasted coconut powder, dry fruits and melon seeds to it. Mix well for 1 minute or more. Switch off the flame. Add roasted flax seeds powder, cardamom powder and raisins to the ladoo mixture. Mix well till all the ingredients are mixed properly. Let the mixture cool for 1-2 minutes or till you are able to handle it with your hands. Don't let it cool completely else you will not be able to bind ladoos. Rub some ghee on your palms. 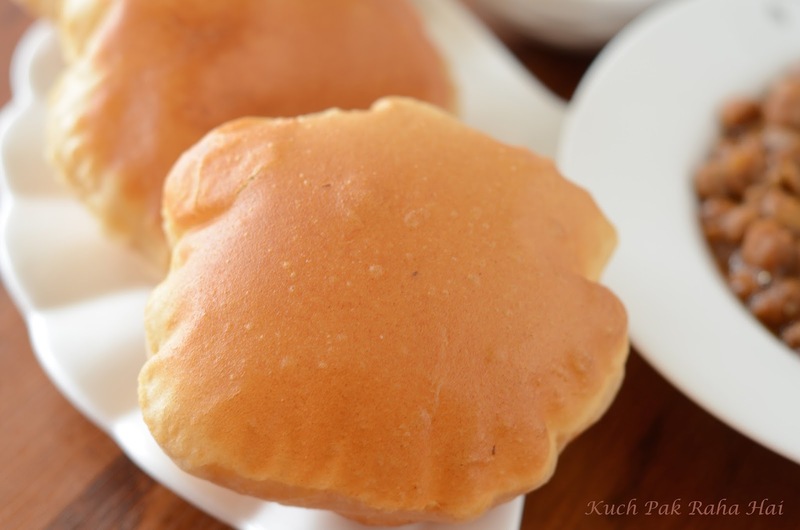 Take spoonful of ladoo mixture and roll it into a ball. Repeat this step for remaining mixture. Store these ladoos in an airtight container. Enjoy these delicious and healthy Dates and nuts ladoo!! I generally have it in morning with my tea or post lunch when I generally crave for something sweet.